Use This Simple Tips to Stop Losing your Kid to SUICIDE. 02 Dec Use This Simple Tips to Stop Losing your Kid to SUICIDE. I’ve not been dealing with clinical or suicidal issues by choice, It has been a while now. But yesterday I had too. A friend asked me to help this young girl (we’ll call her Bubbly) of around 15 years. Bubbly attempted suicide few days back. She cut her self in an attempt to kill herself. To be honest with you I was not ready for this, I went for totally different business. I was not expecting I’ll have to have a conversation like this. But we human beings are pretty smart animals and can adopt to situation quickly. To cut a long story short, the girl has been going through rough time for last 2 -3 years. I assume since turning teenager, she was trying to build her identity in the society. In that process quiet a lot happened, something she handle well and some didn’t. Something stuck with her and cause immense pain psychologically. The pain grew so much that she took extreme measure to end her life. I can’t imagine how much pain she went through to get to the stage of attempting suicide. She said there was NO PAIN when she cut herself. From my training and working at a suicidal helpline (www.lifeline.org) I knew there would have been few attempts. When I asked – did you do it before? It is not easy to hurt yourself. The many failed attempt made her so strong that the last attempt was painless. I believe immense courage and strength is required to hurt yourself. I have not been able to comprehend, how much emotional pain these people are going through to hurt themselves. A small cut makes me run like a headless chook to find a Band-Aid. She is safe now physically and looking to seek help for the psychological challenges. 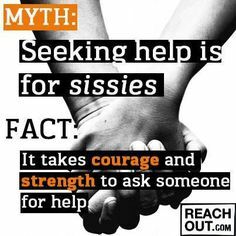 Which is really a great thing, not everyone has courage to seek help. I’ll be talking to her regularly and slowly build resilience in her. While I ponder on this after a day, I think there are few simple things we as society, parent, friend, sibling….. can do to prevent this from occurring. It’s OK to be fragile, Psychologically: If you break your leg half the family will go and help you get back on your feet. But no one would like to talk about mental health challenges. There is stigma about seeking help for mental challenges. If someone seeks help they feel embarrassed about it. Everyone thinks what other will say if I seek help. The society has to support each other and say “it’s okay to be fragile, psychologically”. We all go through ups and down in life and seeking help is not to be embarrassed about. We’ve to talk and teach: There is really poor literacy among people about mental health. People would know everything and anything about blood pressure and heart disease but they are not ready to talk/teach about Mental Health. The girl was going through tough time for 2 – 3 years and no one noticed it. No one saw her sadness or pain? We need to make everyone literate about recognizing symptoms. We’ve to talk about it. Batman also needs Robin: We all want to be strong like superheroes. There is a lot of preference for self-reliance. The society and our upbringing normally tells us to stay tough. Sort your own problems and issues. Although this is true for some things but self-reliance has a limit. At times we need to seek help. A consistent factor in both qualitative and quantitative research was the trend that young people prefer to rely on themselves, rather than seeking outside help for the problems they were facing. Seeking help from other is not a weakness, it is a gesture of self-care. You are doing a favour to yourself, you want to become better at something. Build a trust network: The biggest concern I’ve found people have seeking mental help is lack of trusted sources. Confidentiality and Trust is something we need to build in the system, so help-seeker do not feel vulnerable when sharing information. When I asked Bubbly about her support network, she was not able to name anyone. Not even the parents were in the list. Sitting down with your kid and talking about these topics should be normal. If we would have got a trusted network, Bubbly would not have attempted suicide. We’ve lots of things now a days but we do not have TIME, TIME to sit with someone and listen to their story, their pain. We could prevent a life if we listen. From Epidemiology of Suicide:- An estimated 1 million people worldwide take their lives by suicide every year. It is estimated that global annual suicide fatalities could rise to 1.5 million by 2020. Worldwide, suicide ranks among the three leading causes of death among those aged 15–44 years. Suicide attempts are up to 20 times more frequent than completed suicides. Whose story you are going to listen? Whose life you are going to save? Whose hand you are going to hold? Please share this post to show you care about SAVING LIVES. P.S. If you have tips that have helped you overcome or manage depression, please share in the comments (be sensible). Thank you. A doctor (GP). They can give you a referral to a psychologist or psychiatrist if you need it. Telephone and text crisis services have provided effective help to many people who are feeling suicidal. 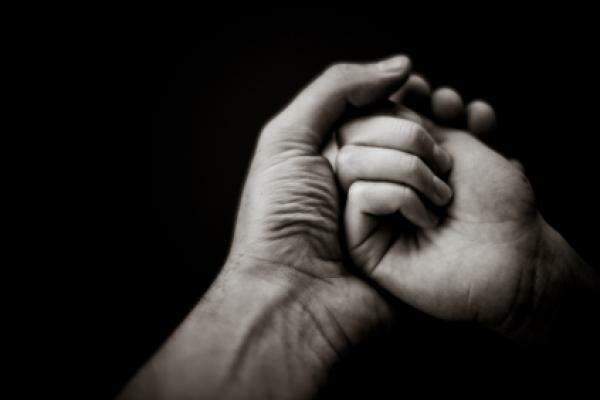 International Association for Suicide Prevention: Crisis centres around the world. I felt like I was missing out on being a teenager. A simple formula to create the life you desire.